The Boston Celtics own the number one draft pick in the 2017 NBA Draft and there has been a lot of speculation as to what they will do with it. One option is to trade the pick and a few other pieces to acquire a star player like Paul George or Jimmy Butler . Each player would make the Celtics instant contenders and give them a real shot at reaching the NBA finals for the first time in seven years. By trading the pick the Celtics would immediately go into a win now mode which could potentially last 4-5 years. However, if they choose to keep the pick and add another young player to join Jaylen Brown and Marcus Smart, we would be looking at a team that could be competitive for the next ten years. In this years draft, there are three players that could make GM Danny Ainge think long and hard about trading this pick — Markelle Fultz, Jayson Tatum and Josh Jackson. The consensus number 1 pick has to be Fultz. He is a fantastic athlete and widely considered the most athletic in the draft. Fultz is a shoot first guard that can play on and off the ball which is key if you want to play him with Isaiah Thomas. He has the ability to score on all three levels — he can drain the three ball but his mid range shot and ability to finish at the rim is what makes him special. He is such a smooth player — he has the ability to change speeds much like all star James Harden, where he can lull you to sleep and then burst by you in and take it to the rim. It looks so effortless. What impressed me the most is the fact that in high school he didn’t make his varsity team until his junior year. He faced this adversity like a champ, he put in the work and eventually became the number 1 ranked high school player in America. He’s also still growing — in college he grew 1/2 an inch and since he’s so young, odds are he could continue to grow and would make him more versatile on the defensive end. 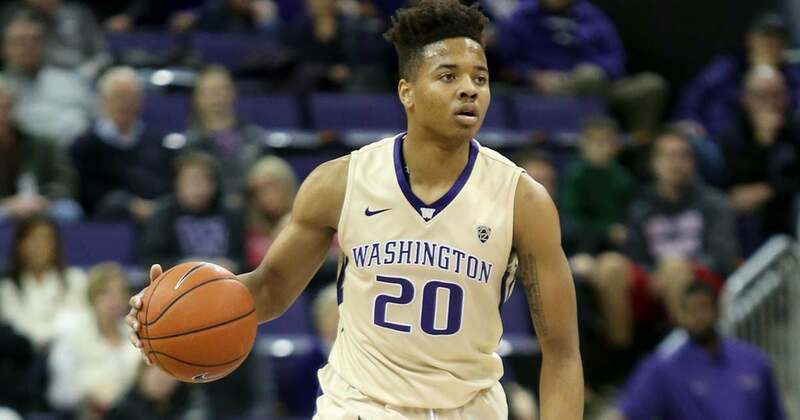 One criticism of Fultz is that he played for a terrible Washington team that finished the season at a dismal 9-22. Does Fultz have the ability to make his team better? Can he be a great passer and generate open looks for his teammates? Although he is an elite scorer, one area of concern is in college almost all the threes he shot were right up against the line — does he ultimately have the range to step back and drill an NBA three win consistency? Tatum is an option for the Celtics but not at number 1. He should only be considered if the Celtics were to drop to 3 or 4. With that being said, he is an exciting player to consider. Playing at an elite school, we were able to see him play on a consistent basis. He is a player that has great size, who can defend multiple positions. Although he mainly played power forward/center at Duke, he has the speed and athleticism to defend small forwards in the NBA. Not only is he a versatile defender, but he’s also versatile on the offensive end. He possesses the ability to knock down the mid range shot but also has proven to be an excellent scorer with his back to the basket. One area of his game that shouldn’t be overlooked is his ability to knock down free throws, last year he shot 85% from the line. This is an issue for most big men, but the fact that he shoots well from the line shows he has a shooters touch — which means with time he’ll become a more consistent scorer. Although Tatum is a versatile scorer he is not as consistent on the offensive end as some would like. Despite having great size, he has a slow first step off the dribble and is an eratic ball handler. In college he took a ton of difficult shots that went in, but you would have to imagine that once he’s in the NBA, going up against elite defenders — those shots wouldn’t fall at the same rate. With that being said, he did improve his ball handling over the year and I expect that to continue to improve. Defensively he had issues down low against bigger players — he was pushed around and often wouldn’t pickup his defender until it was too late. He will need to add muscle over the next few years if he wants to become a better defender. The player whose name is buzzing around twitter is Josh Jackson. He is a Danny Ainge type of player — mean, tough, versatile, and one heck of an athlete. He is easily the best defender in this years draft. Being an explosive athlete with fantastic foot speed, he can guard any where from the shooting guard to the power forward. If the Celtics were to draft him, you can just picture him playing the power forward position — not backing down and battling with LeBron James for 48 minutes. A good comparison for him would be Kawhi Leonard. Although he doesn’t possess the same shot making ability like Leonard, he is a brilliant slasher who can get to the rim and dunk it home. He doesn’t have he best looking shot and the numbers back that up. He only shot 37% from three and a dismal 56% from the line. At times it looked like he gave up and wanted no part in playing offense — he will need to focus this offseason on the offensive end. That means free throws, mid range three pointers and ball handling. Just like Jaylen Brown, a shot can get corrected as long as you put in the work. The big area of concern is his temper. According to Shannon Ryan of the Chicago Tribune, “Jackson was charged with one count of misdemeanor criminal damage to property after allegedly kicking the door and tail-light of a car belonging to a Kansas women’s basketball player outside a bar Dec. 9. An affidavit released the day before the NCAA tournament began said Jackson threatened to “beat” the woman.” He was suspended last year for 1 game and had to attend anger management meetings as part of his punishment. Most fans and teams would not want a guy like this on this so it will be interesting to see where he goes. Ultimately in the end, I believe the Celtics will select Markelle Fultz. He is exactly what they need, someone that can create there own shot and score on a regular basis. In the end let’s hope we can raise his number 20 into the rafters. Previous postNHL Expansion Draft Preview-Western Conference.